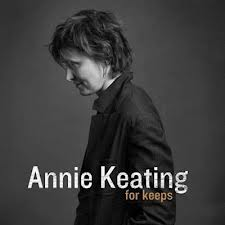 Fresh on the heels of the recent Rebecca Pronsky full length release, the New York borough of Brooklyn unleashes another serving of urban twang on the UK’s Americana music market with a new album from singer-songwriter Annie Keating. Of her four previous albums BELMONT was the one that came across my radar but repeated listens of FOR KEEPS has certainly raised the awareness of this fine artist with a desire to explore her music further. In essence, the album consists of ten self penned tracks as Annie has chosen to represent ‘Take Only What You Can Carry’ in a pair of contrasting versions, plus a cover of Neil Young’s ‘Cowgirl in the Sand’ to fade the album out. The variety of sounds range from pedal steel driven country through to a little indulgence in vintage New York disco/rap, although Annie doesn’t deviate too far from conventional singer-songwriter mild-rock. Despite this being a self released album, Annie, with the assistance of producer Jason Mercer, has amassed a wide collection of session musicians to contribute a full range of sounds including the combining of a horn element with pedal steel on ‘All Gone’. The country feel to the album blossoms in the excellent second song ‘Right By You’, where the pedal steel solo just melts into your mind and is probably the pick of the tracks but you cannot also fail to be impressed by, excuse the pun, the storming opener ‘Storm Warning’. This blues driven number features harmonica and dobra to complement the electric overtures and could be singled out for some crossover play. The album has a tendency to compartmentalise its sounds and towards the end there is a trio of the more pedestrian self penned songs before we exit under the influence of Neil Young. The laid back version of ‘Take Only What You Can Carry’ is sandwiched by a quieter lullaby number ‘River Clyde’, with its Scottish references reflecting some of the experiences she has had north of the border, and ‘Thrill of the Chase’. Probably the most intriguing track on the album is ‘Let it Come’ where Annie radically changes direction with a sound reminiscent from an era where the street beat of New York City spread across the world. While this sound is by no means representative of the album, the process of experimentation reflects positively on Annie searching for different inspirations. As you would expect from an established singer-songwriter, the lyrics are thoughtful, insightful and intelligent, all delivered via the sultry vocal skills that Annie has bestowed upon the record. Although a slow burner, FOR KEEPS does ultimately evolve into a gem of great substance that will no doubt be critically well received by those who come across it. 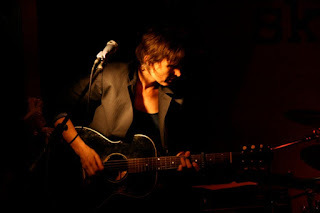 A UK tour is planned for September, but in the meantime immersing yourself in the work of Annie Keating will enhance your appreciation of Americana music.